After years of testing Rolls Royce has introduced first SUV in the market. It was the most anticipated car of 2018 perhaps most anticipated rolls Royce. The vehicle is called Cullinan which is named after the largest diamond ever. Cullinan will be competing with the vehicles like the Bentley Bentayga, Range Rover SV Autobiography, Mercedes G63 AMG. From the front you can notice that it looks similar to Phantom. The price in India would be around Rs.5 cr. Though it is not clear when will it be launched in India, but we can expect around end of this year. Having a first look you can see this SUV as a vehicle that can be taken anywhere. It is a big SUV having a length of 5300 mm. 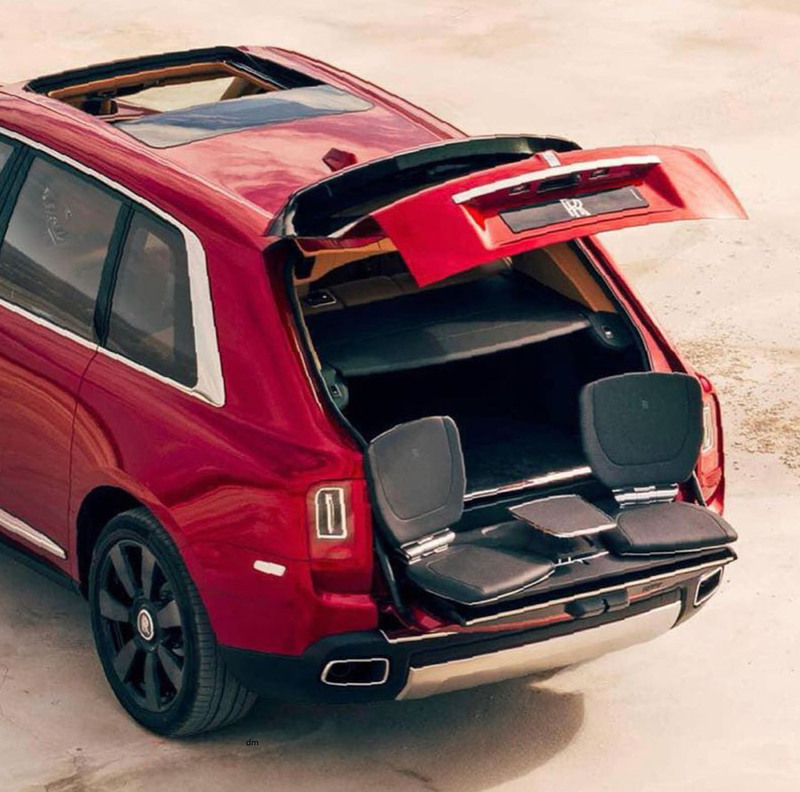 Being an SUV it still retains the signature characteristics that Rolls Royce has, like rear door opening towards back and the spear which runs along the lower section. When you look the rear you can see the all new design which looks very attractive with an old school distinct sharp design, which makes the car look heavier and sportier. The tail lights are new with a vertical placement, with rolls logo in the center. The overall design has been made this way to give a car a rigid suv look and have a road presence. You can see this as a Phantoms bodyguard. The grill, the headlights and the lines in the front makes this car look a heavy and give the car a wide presence. You can also see the radar sensors and the cameras at the bottom above the stainless steel package. The front sits high with the Spirit of Ecstasy sitting in the middle. It has an air suspension which allows the car to lower the height by 40 mm with double press of button in the key, which makes getting in and out easier. The rear door closes with a press of button so you don’t have to pull the door after sitting in. It has a umberlla in the side of the rear door which can be accessed if the rear door is closed with a press of button. It has two seats in the tailgate which can be used to have a drink on the beach side. There is no sacrifice of the luxury for which rolls is known for. The rear seat is separated by center console in (40:20:40) ratio. The tailgate opens through the key, which opens the top portion up and the bottom portion down. With the press of the button the rear seats fold almost flat for extra luggage room or other purpose. The boot has been made with practicality in mind. Now you can close the bottom and the top separately with a press of button. As soon as you enter the car you feel special straight away. There are some new features like Rolls Royce has introduced the touchscreen infotainment system for the first time. You can hide the screen if you wish. If you are not an expert in adjusting off-road driving setting, Rolls Royce makes it easy for you by giving only one button and the Cullinan brain will do the rest. There is an option where you go in deep in the menu and change the setting if you wish to. Parking assistant with 360° camera to help park in tight places. This is the first Rolls Royce to have parking assistant to park itself. Standard heated steering wheel and seats. Siting inside does feel clumsy and closed, it actually feels open and the visibility is good with the wide glasses and panoramic roof. The center part the car is the place to be if you are not driving. It has plenty of room with 12 AC vents and individual touchscreen at the back of the front seat, which opens with a press of button. Also a table to keep things operated by a button. 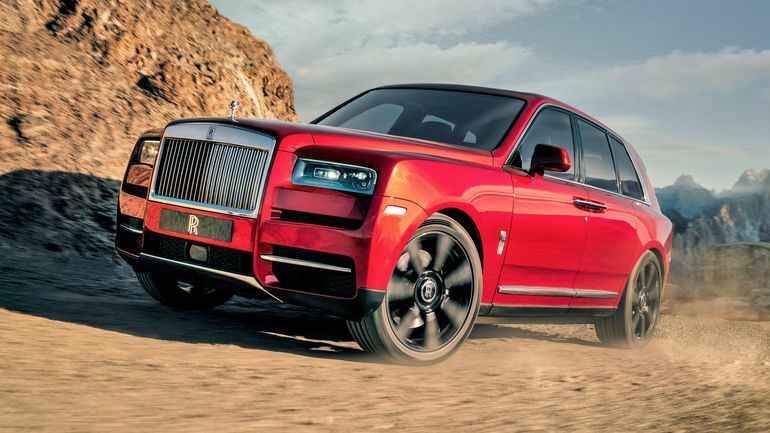 The all-wheel drive Cullinan has a 6.75L twin-turbo V12 engine that makes 571 horsepower and 850 NM of torque available from 1600 rpm. It is the first All wheel drive car from Rolls Royce. The top speed is electronically limited to 250 kmpl. 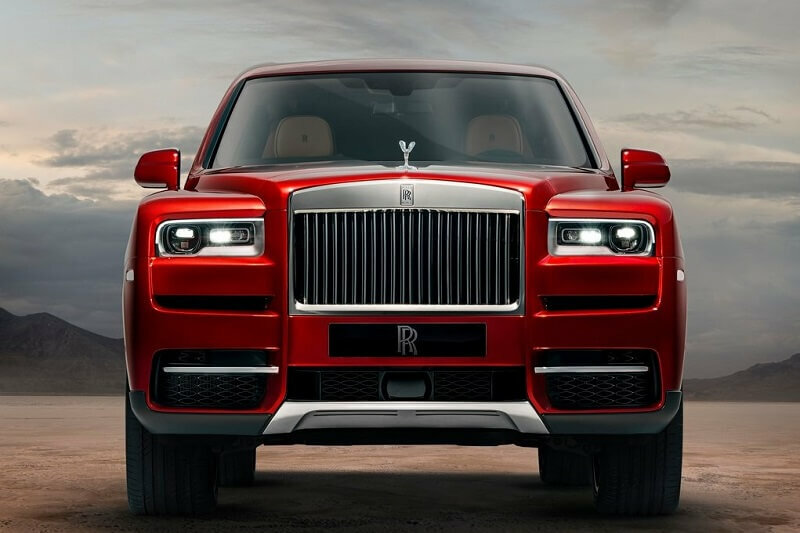 It has 8 speed automatic transmission which uses Rolls Royce satellite geographical technology to select the appropriate gears in any condition. 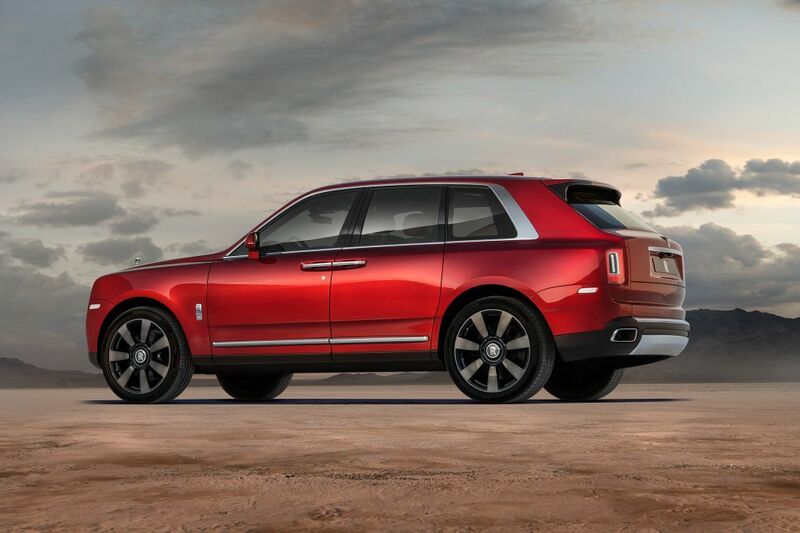 It is not a detailed review though as I have not got to know lot of things, but post launch I will certainly write a detailed review of Cullinan. I have to say I was not a big fan of Rolls Royce, but seeing this car has changed my perception. I might buy, if I can afford it someday.